Scandinavian Life Science – Member Discounts! Nordic Venture Forum – Member Discounts! Scandinavian Life Science, in collaboration with ScanBalt, is pleased to offer ScanBalt members discounted advertising and membership rates. Read more here. The programme of the 3rd Annual Nordic Venture Forum will present trends and opportunities in the Nordic countries and will focus on key issues for the future. ScanBalt members receive a 20% discount on registration fees. Read more here. The fifth international two-day conference Gene Forum 2004 brought together the top scientists of the field of epidemiology, genetics, genomics and biotechnology to discuss how genomics changes medicine. The speakers of the forum subtitled Genomics to Medicine assured that genomics will gradually become part of everyday medicine. Read more here. At the Biotech Forum 2004, Mikael Ørum, vice chairman of Medicon Valley Academy, presented five national and regional recommendations aimed at creating more hi-tech workplaces in Denmark and Sweden. Read more here. The 2004 Biotech Forum, organised this year by a collaboration between the Medicon Valley Academy, Scanlab and Stockholm International Fairs was hosted by the Bella Centre in Copenhagen, Denmark. Over the 3 days of the conference some 8000 delegates visited the centre, not only to visit the company stands, but also to listen to presentations from international science and business leaders. ScanBalt was present through both its members and a presentation at the poster session. Read more here. bioTEAM south invites you to an interactive one day seminar focusing on challenges in the Scientific, Regulatory and Business Management of Early Clinical Development. Read more here. BioMobil, the centre of Biosafety Research and Molecular Biomedicine, located around the biomedical research groups in Gdansk, Poland, has created a new tech transfer opportunity with a Spanish research group. Read more here. The kick off meeting for Boosting Baltic FP6 will take place on the 26th of October in Vilnius, Lithuania. The project partners from Latvia, Lithuania, Estonia and Poland will present results of a competency mapping exercise which has been in progress since the start of the project. Not only will the kick off meeting discuss the future of the project but it will also share it´s programme with the ScanBalt CompetenceRegion project. Conclusions from this meeting will be reported in the next newsletter. 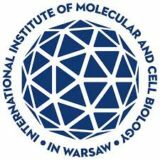 The kick off meetings for Boosting Baltic FP6 and CompetenceRegion will include a fact finding tour to the leading Lithuanian Institute for Biotechnology. It has research priorities in the fields of modification enzymes and recombinant biomedical proteins. This is an excellent opportunity to meet Lithuanian researchers, visit companies, and gain an insight into their work. ScanBalt would like to offer the opportunity to its other members to also attend the tour. 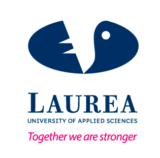 If you would like to visit the Institute, on the 26th October, please contact Ausra Jakaitiene, Lithuanian Innovation Centre, 0037 052356116, kava@ktl.mii.lt. Unfortunately no help can be given with travel expenses. In a unique move, and demonstrating extreme concern about the future of German Agrobiotechnology, Germany’s bioregions have rallied together to publicly criticise proposed German legislation for gene technology. Read more here. Aarhus University Hospital, Denmark, will be hosting the 3rd Symposium on Array Technology on October 29-30, 2004. The programme includes international speakers who will be discussing a range of subjects including molecular medicine, SNP arrays, and DNA microarrays. Read more here. The Baltic Development Forums annual summit took place in Hamburg on the 14th of September this year. More than 400 decision makers from 10 countries discussed a wide variety of political and economic issues in the Baltic Sea region. The overall theme was how to adapt and reenergise Baltic Sea cooperation and boost business opportunities in light of the regions changed economic and political development. Read more here. At the BIOnale conference in Maastricht ScanBalt will be presented by Prof. Bo Samuelsson, the ScanBalt chairman, in a session entitled ‘Creating Successful Bioclusters’. ScanBalt will be presented alongside a variety of other clusters, mainly from the biotech sector, with the intention of leading discussion on how to form EU clusters and what the pitfalls are. Read more here. A microcosm of the GM debate in Germany could be found at the Agrobiotechnology Workshop organised on the 9th September 2004 by the BioCon Valley GmbH in Rostock, Germany. The select group of attendees formed a unique mix of academics, companies, governmental and political representatives from within and outside of the European Union who were able to illuminate the debate from their respective viewpoints. Read more here. 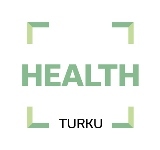 Over 120 specialists from bio and technology centers in Finland and Germany took part in the Bio Meet Nano and IT event in Oulu on the 2-3 of September. Companies, research organizations and students from fields of diagnostics, electronics, bio, nano, mobile and information technology participated in the event. The successful event may receive a continuation in Finland or Germany. Read more here. At the recent Baltic Dynamics conference CORDIS news interviewed Gundega Lapina, a project manager in Latvias Innovation Relay Centre. In the interview she describes the challenges for Latvia in promoting innovation and explains that much of the work of the IRC is introducing the innovative concept and culture. Read more here. On the 27th of September Stockholm hosted the official launch of the new European Centre for Disease Prevention and Control. In a world which requires more effective surveillance of disease, better responses to epidemics, and better disease prevention the new Centre will play a central role. Stephen Minger  Stem Cells, Future Perspectives. Biotech Forum 2004. The Biotech Forum 2004, in Copenhagen, was extremely fortunate to have the eminent stem cell scientist Stephen Minger as a plenary speaker. He gave an international audience of scientists and business leaders a fascinating insight into current stem cell research.